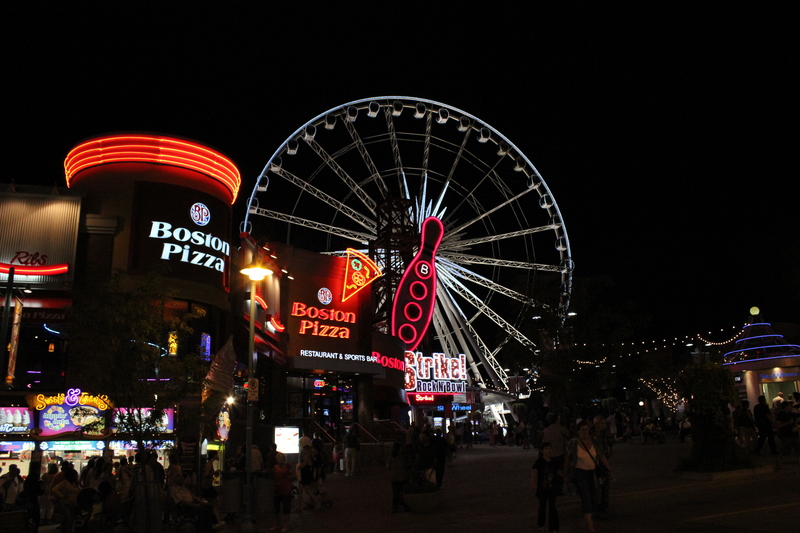 After 4 days in New York, we took a connecting flight from jfk airport to buffalo where we picked up our car. Armed only with our Hertz NeverLost GPS system, we navigated ourselves across the border to Toronto. 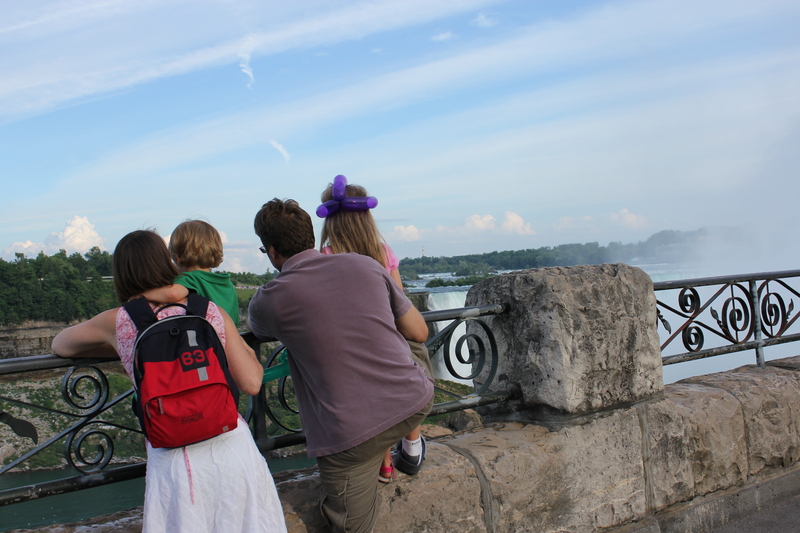 Viewing the American Falls from Terrapin Point, which is at the American Side. 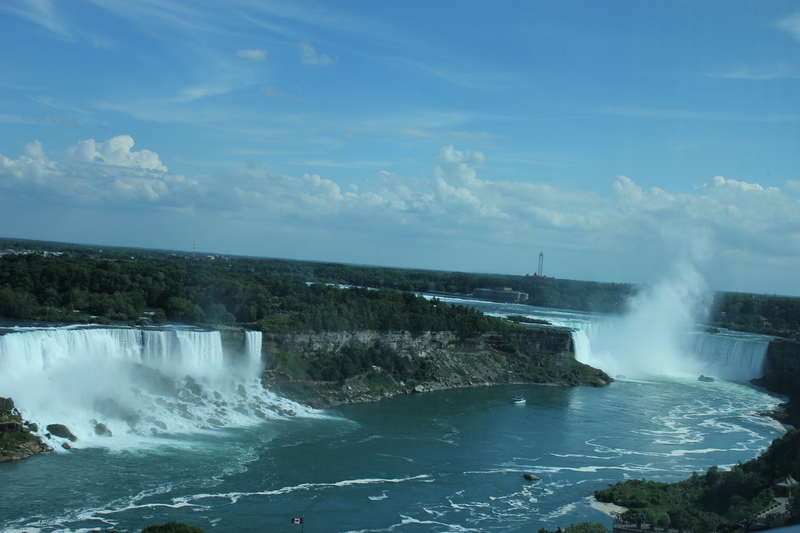 While the American falls may look like a flat cascading waterfall, it is in actual fact a little jagged. 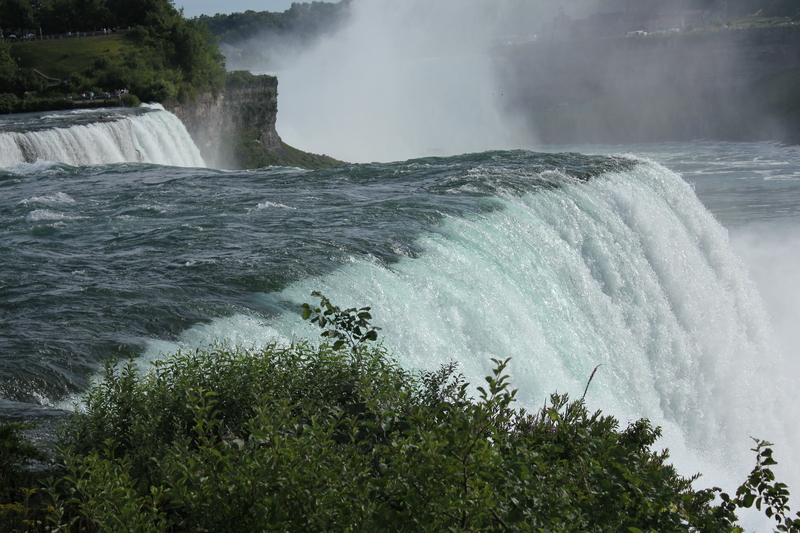 Who knows, maybe after another few centuries of erosion it will become something like the Horseshoe Falls! 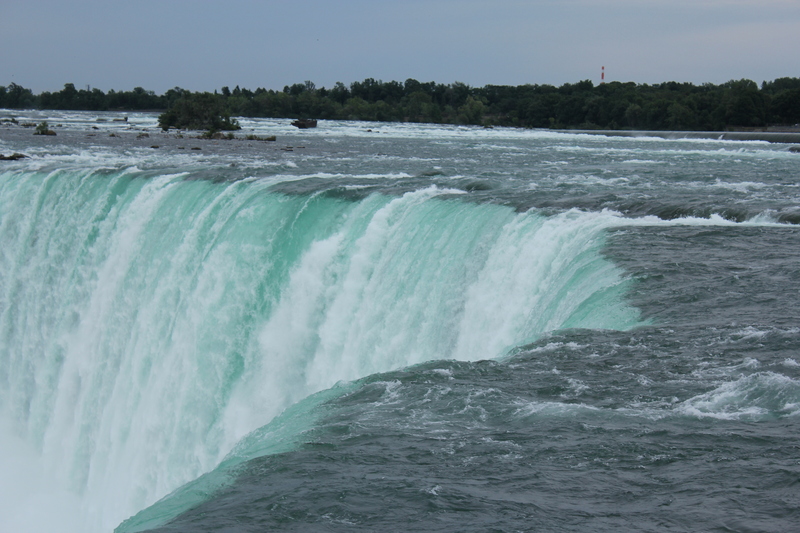 The mesmerizing Horseshoe Falls was huge and magnificent. Staring at the gushing water almost made me feel like I was going to get washed away! 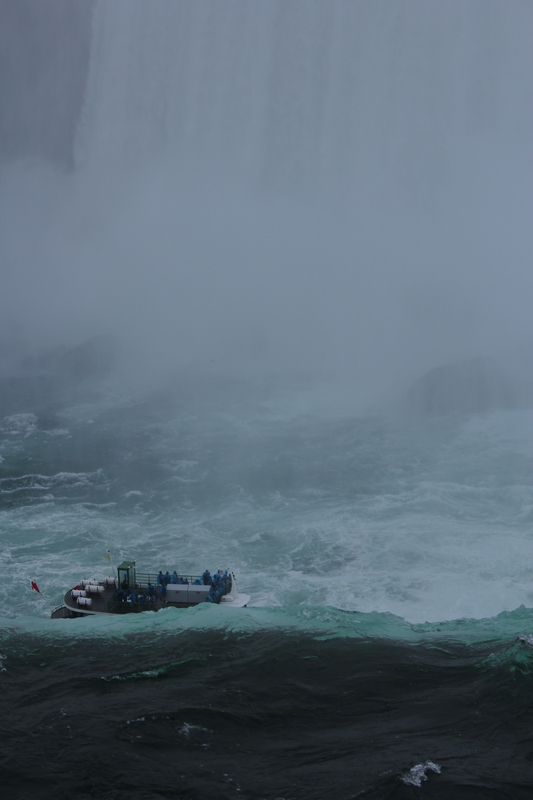 The Maid of the Mist does bring you pretty close to the Horseshoe Falls, but the towering mist makes it difficult to see anything. 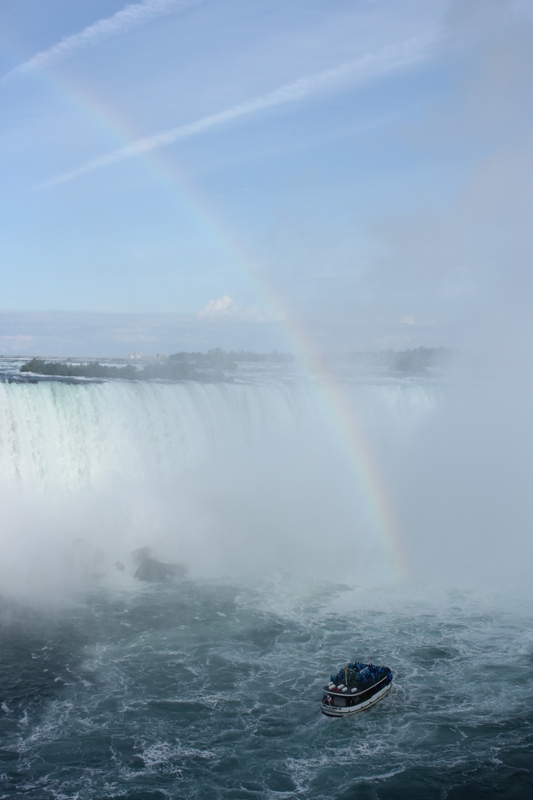 Only by standing on the edge at the Canadian side do you fully experience the magnificence of this natural wonder. It’s the summer holidays so the whole entire place is like a holiday town, bustling with little kids and parents. There was no need for any heavy winter gear with the weather at a comfortable 24 degrees, what a relief! Since their main consumers are families, many restaurants actually allow children to dine for free! This is especially common for buffets in that area. 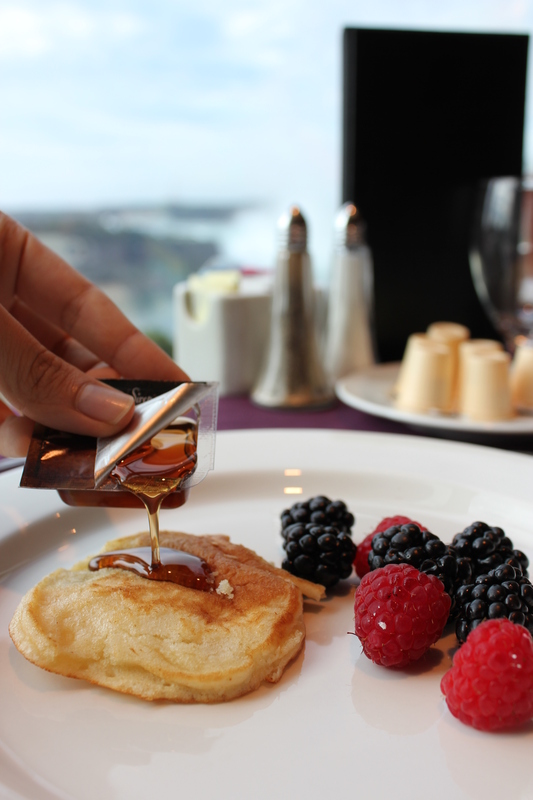 The Restaurant in Sheraton offers a breakfast buffet at $19.90 (canadian dollars) and of course, kids dine for free! 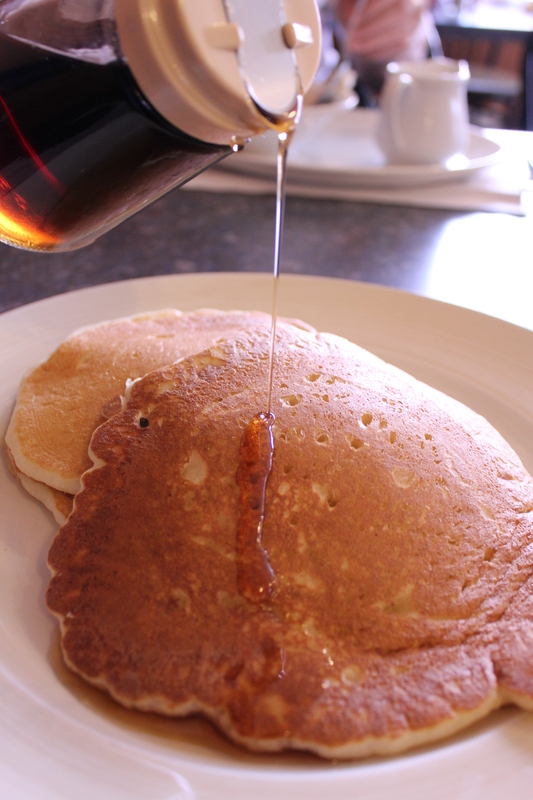 Loved the fluffy pancakes which had a variety of toppings (apple cinnamon, blueberry compote) and berries to go with it. The mini waffles done on the spot were delicious too. 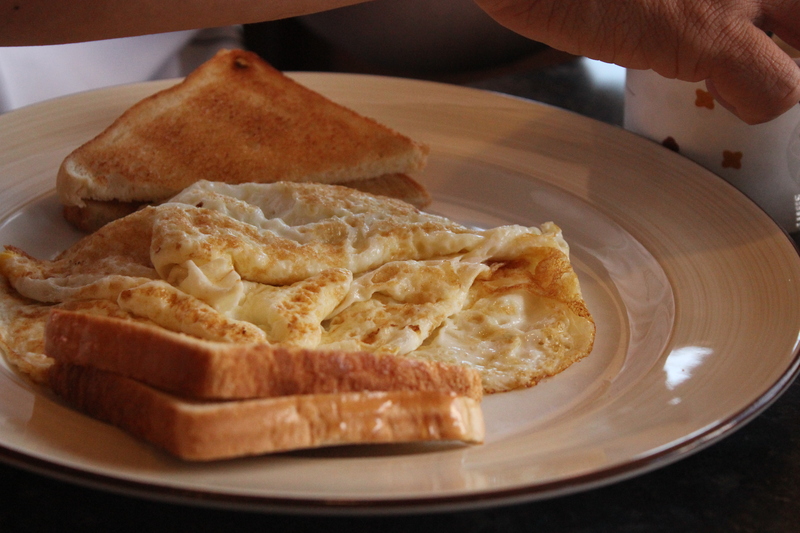 Also done on the spot are omelettes which feature a huge selection of ingredients you can choose to add in. Mine had mushrooms, spinach, tomatoes and red onions- excellent though a tad on the oily side. You can also expect the usual cereals, baked goods like danishes and croissants, bundt cake, a salad bar, sliced fruits, bacon, sausage, oatmeal, hashbrowns etc. 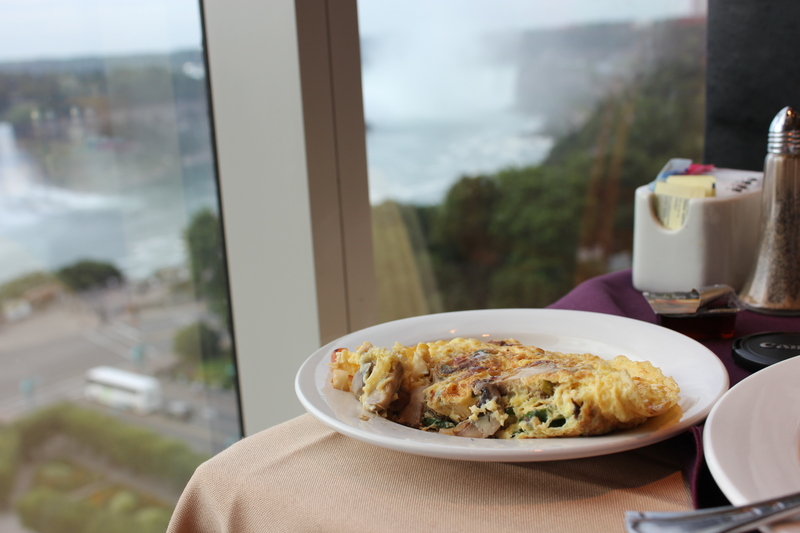 But perhaps the most important thing is the captivating view of the falls which you can enjoy with a lovely cup of coffee and a sumptious breakfast. 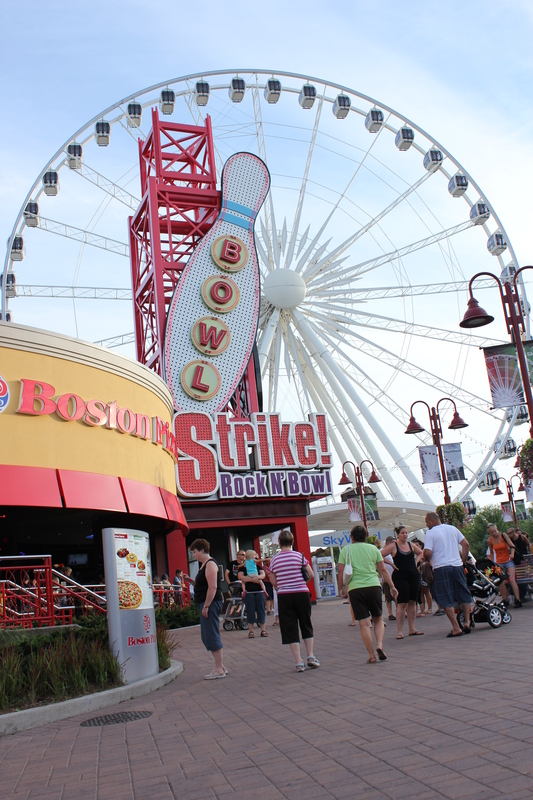 Other breakfast options ( besides starbucks and the usual fastfood joints) are within walkable distance at Clifton Hill. 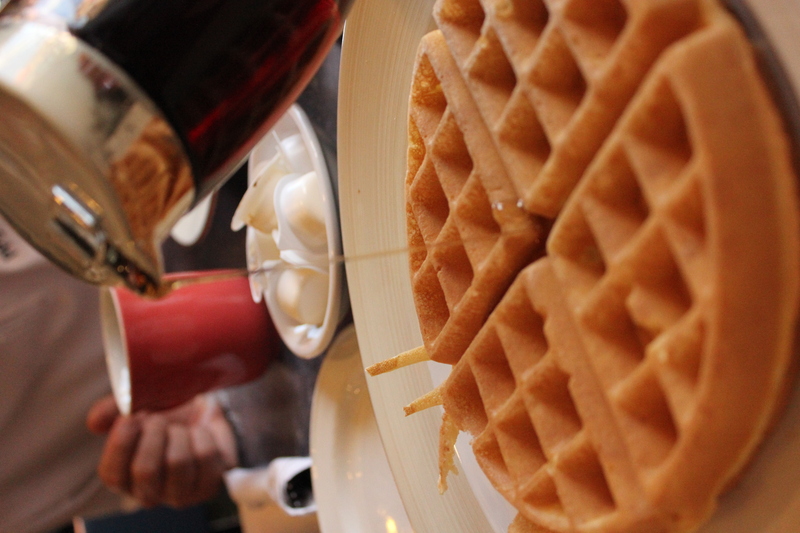 Belgium waffle with maple syrup and butter always ready on the side. Crunchy crust with fluffy innards, these waffles were done expertly. 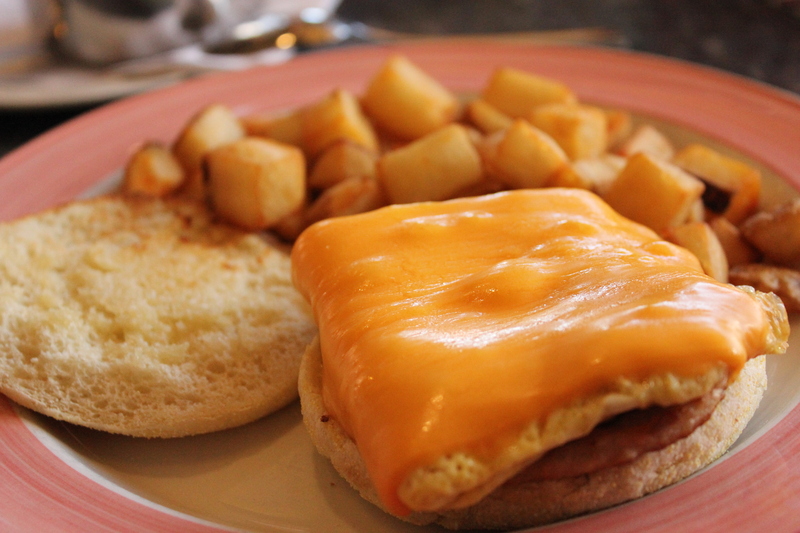 Sausage muffin served really hot, a comforting breakfast indeed. Potatoes served with skins and all deep fried like fries and lightly salted. Best part, they don’t turn soggy like macdonald’s fries but stay nice and fluffy with a crispy skin all the way.